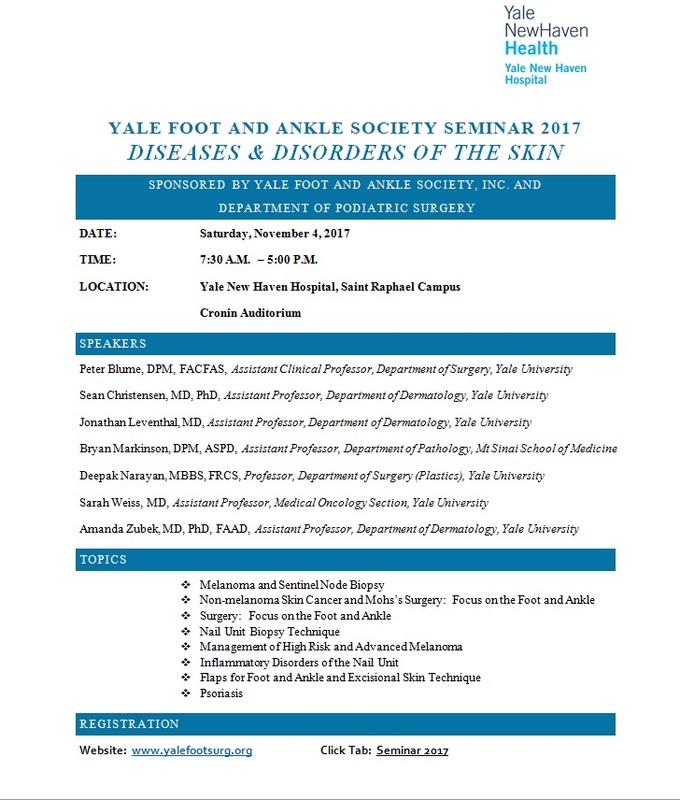 This year's Fall Seminar will focus on diseases and disorders of the skin, with a concentration on the lower extremity. The speakers come from a varied background, including Dermatology, Plastic Surgery, Medical Oncology, Pathology and Podiatric Surgery. Agenda and speakers listed below. Once again, the seminar will be FREE FOR ATTENDEES, thanks to generous educational grants from our program sponsors. 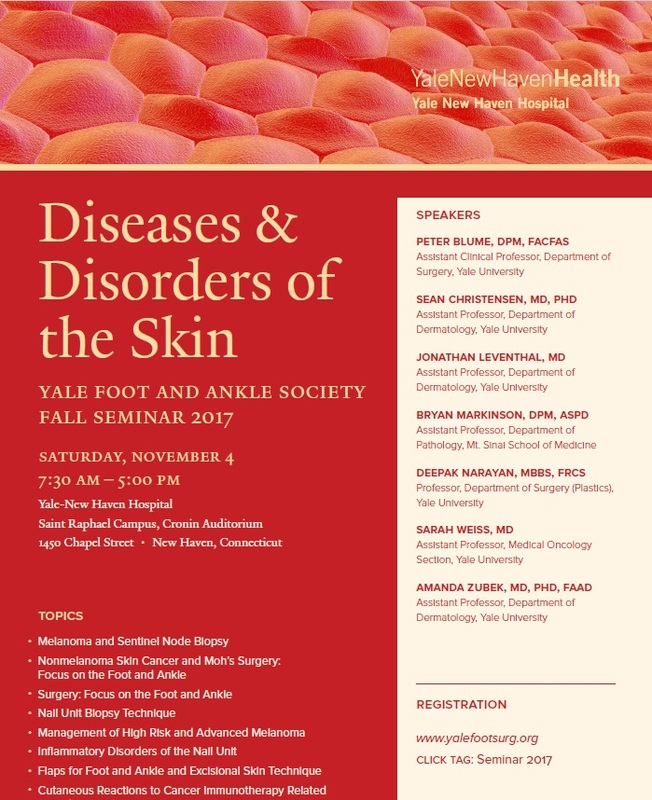 Yale CME will accredit the event, and 6.50 CME credits will be available to those who attend the full day. CME certificates will be available from Yale CME online after the event.